Look at this, a multitasking episode that features more than just one plotline and set of characters! I was genuinely shocked when, after dwelling on Richard and Morgan as they tried to keep peace between Ezekiel’s kingdom and the saviors despite their troublemaking actions, we got to see Rick and his new friends. 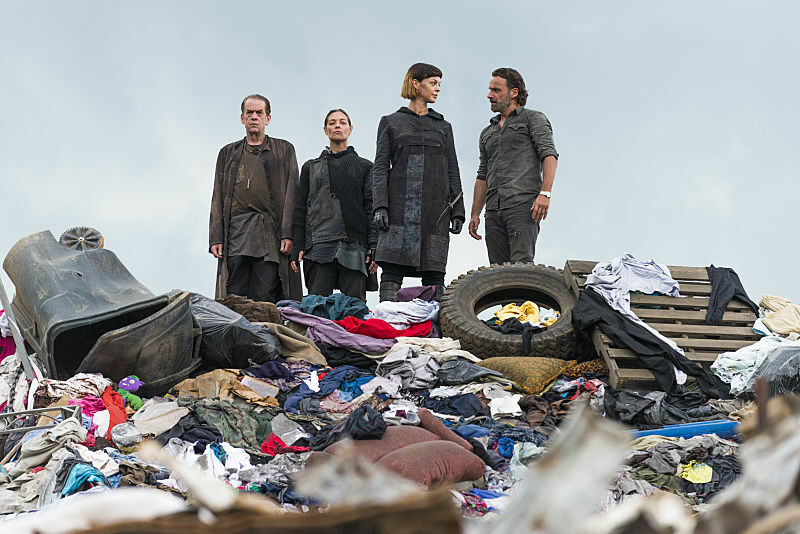 It’s time for the Saviors to be taken down, and after the only consequence of Richard’s backtalk was Morgan getting his stick taken away, it seems like things may finally be turning in the right direction. Rick smiling is always an eerie sight, and the fact that he demanded to see Gabriel and had his request granted by the creepy hive mind was a great start to negotiations. Getting pushed off a trash heap and forced to defend himself against an armored walker of sorts was an intriguing test of loyalty, and I like that Rick was confident enough after surviving the experience to push back and insist that Jadis only get a third of what they’ll eventually take from the Saviors and not half. I feel like the nonplussed demeanor that this collective has is just what’s needed to fearlessly take on the Saviors once and for all. Darryl’s reunion with Carol was another nice tender moment, and Morgan was right to pick up on the fact that Darryl had lied to Carol so as not to make her dive back into a depression and also to keep her away from the conflict that he knows is on the horizon.